Börni as Vava Voom won a double platinum award with the Migros-Song. 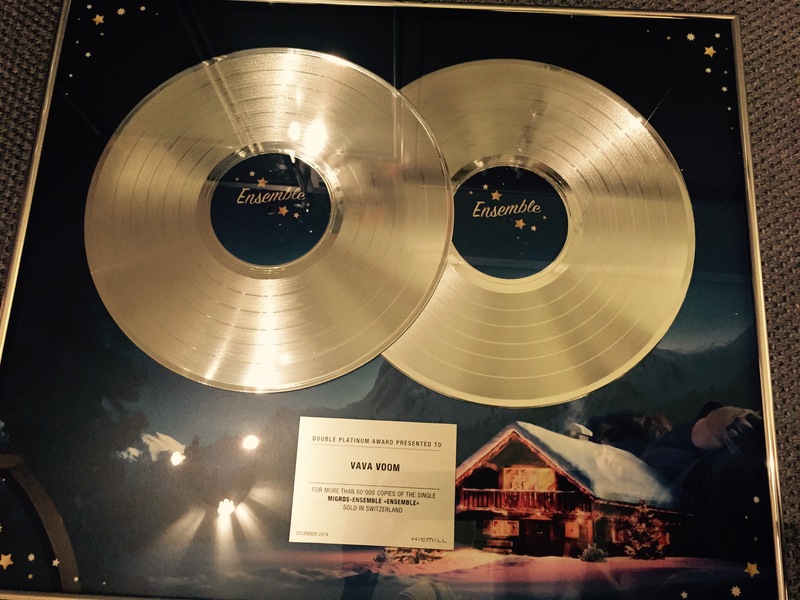 The song hit number 1 of the Swiss charts at the 30th of November 2014 and didn’t change it’s position over 5 weeks. It also was in the Top 75 Single charts for over 7 weeks.